Run Hard Media is a multifaceted, multimedia production studio engaged in multiple aspects of entertainment, including full-scale film and television production and distribution, music production and publishing, product licensing, professional representation, internet marketing and digital media. The company makes strategic partnerships with, and investments in, media and entertainment-related companies and assets. Run Hard Media also owns and operates Run Hard Music and Publishing which currently produces music for Television and Film. Run Hard Media specializes in producing multimedia content targeting a broad multicultural audience. RHM’s Digital Gr8ness brand also develops original content for the Web, creating dynamic online content for a wide ranging group of clients. RHM’s television and Film arm currently has 12 new projects in various phases of production, including: When The Sun Rises, Gold, American Journey, Reviving a Lost Art, Black Friday and Freedom Lost. 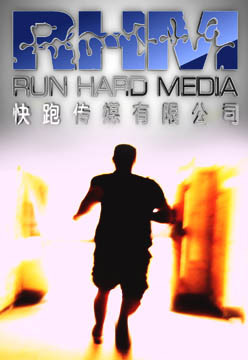 Run Hard Media successfully provides world class multimedia production services to a wide ranging client base from around the globe and for over 10 years has built a long standing reputation for creative vision, quality, success and reliability.